It was in 1978 that Henri d’Originy imagined the Arceau model: a timeless and sophisticated watch inspired by saddler, a stirrup detail. The original asymmetrical shape of its lugs and the elegant form of its numerals and its equestrian references combine to make the Arceau an iconic Hermès watch. The new Arceau Chrono Colors feature elegant white and navy blue versions with matching dials and straps. Ever since its inception, the Arceau Chronos has been constantly remodeled while retaining its original spirit and charm. 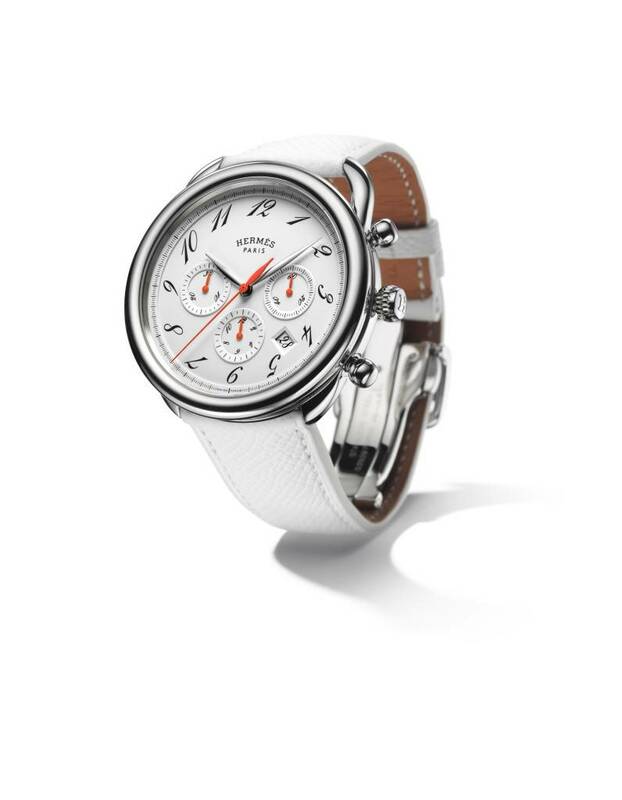 The new models available in white and navy feature matching dials and straps. On both models the saddle stitching and the soft smooth feel of the Evercalf indigo blue and Epsom white calfskin straps exemplify Hermès consistent excellence in leather craftsmanship. The three counters and date are harmoniously arranged on the dial framed by a 43 mm-diameter steel case. The chronograph hands and the small seconds at 3 o’clock discreetly display the signature Hermès shade of orange. 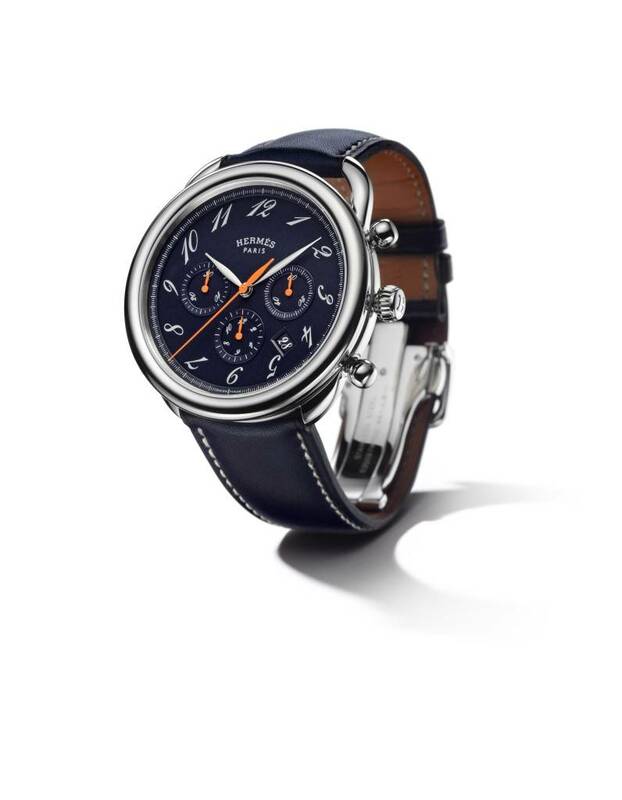 The elegant Hermès Arceau Chrono Colors Timepiece will soon be available in Dubai.